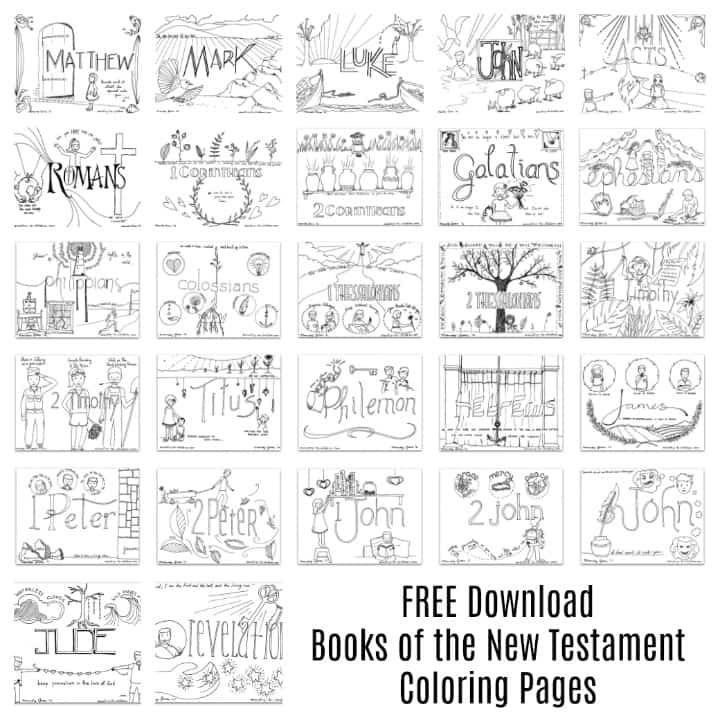 Use the link below to download all 27 coloring pages we’ve created for the books of the New Testament. This file contains all the files in one PDF document (27 pages long). Click here to see them on Amazon. If you prefer, you can browse for the specific page you like using the links below. Don’t miss our printable coloring sheets for every page of the Old Testament. Like all our resources, these are 100% free to download, print, and use in your ministry. Thanks for compiling the New Testament colouring pages Toni. It really helped for my next printout. I decided that while the children are in church for Bible Month they can colour in these wonderful pages and we will string them from the rafters in our Sunday School room. Here in New Zealand it is winter time, so our room will certainly benefit from the splash of colour that these will bring. These are beautiful. Thanks so much! I love the pictures that you have done and thank you for sharing. I was wondering if there is a way to just print the cover page for the New Testament like you have for the Old Testament. This is a good visual aide that we use with our students learning the books of the bible. It is easier for them to remember when they have a picture to go with it. Thank you again for all your hard work and for sharing. Tony Kummer (Editor) reviewed & updated this page on : November 10, 2018 at 8:55 am. All our content is peer reviewed by our readers, simply leave a comment on any post suggest an update.